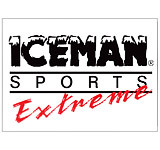 Iceman Productions™ is a professional full service Production and Promotion Company specializing in filming, syndication, and the packaging of independently produced television programming representing a blue chip client base. A sport fuelled by adrenalin and a powerful and passionate display of skill and courage creates a theatre of excitement and drama for the crowds who flock in the thousands to watch real racing at its limit. 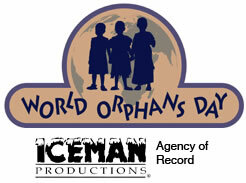 Iceman Productions™… Rock Solid… Independently Produced, Regularly Scheduled Programming. 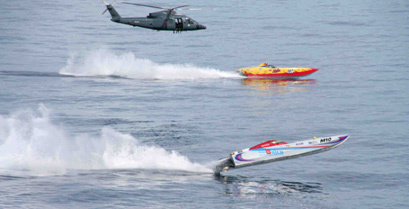 The Offshore Powerboat Championship Series is offshore Racing at its best! This “Ready to Air” regularly scheduled television series has proven itself successful providing enormous traditional media values for production sponsors and the host venues to the filming process. The magazine style 26 episode television series is produced for an American television audience reaching 90 million households in English and Spanish language. Syndicated broadcast is guaranteed through contracted network agreements in the USA, Caribbean and select European countries. 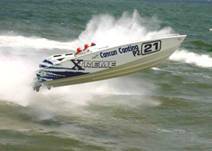 The exhilarating and breathtaking offshore spectacle brings together the latest in state-of-the-art powerboats and technology while showcasing beautiful waterfront venues and the large crowds that flock in by the thousands to watch the Offshore Powerboat Racing and celebrity Poker Run events. 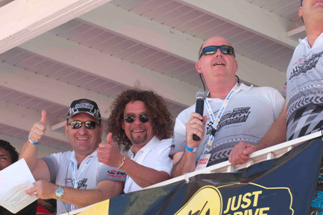 This “Made for Television” series showcases open and closed canopy powerboat racing and includes high profiled celebrity interviews and events. A detailed look behind the scenes features the affluent lifestyles associated with the offshore racing community while informative boat and performance segments built to hold viewers. 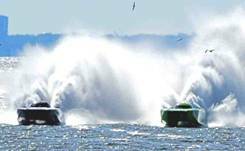 Powerboats reaching speeds of 150+ mph battle it out for dominance, bragging rights and top honors in the Offshore Powerboat Championship Series. A sport fuelled by adrenalin and a powerful and passionate display of skill and courage create a theatre of excitement and drama for the armchair viewers. The series showcases consistency, vigilance and attention to detail. The excitement of teams strapping into ‘jet fighter’ open and closed canopy boats weighing up to 5 tons are powered by turbines and up to 2,500+ hp engines vie for top honors. Open class, sport and pleasure boats round out the agenda with key helicopter and on-board camera footage combined with informative interviews, race team profiles and specially produced sponsored segments. The Offshore Powerboat Championship series takes the armchair viewer right into the cockpit. 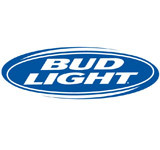 Production and content sponsors are featured throughout the series and are uniquely showcased via specially produced non-conflicting segments which include guaranteed commercial inventory. Sponsor segments are informative and in-depth showcasing the sponsors branding within; race preparation & performance, boat design & technology, bio’s with a detailed behind the scenes look at each event and the region to the filming process. Filmed in stunning HD, the series is produced to the international broadcast guidelines and standards associated with ESPN. The Offshore Powerboat Championship series is produced in a state-of-the-art studio facility in Toronto, Canada. 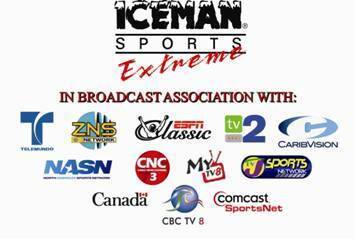 Iceman Productions™ supplies contracted network partners with ready-to-air prime time weekend and mid-week sports “regularly scheduled” television programming. Syndication is an on-going internal process. Each episode showcases the most powerful offshore race teams in North America and the Caribbean. Opening animated graphics and music lead into a “thumbnail” profile of the featured race. Production sponsors are the primary beneficiaries throughout the syndicated broadcast process valued at $US 3 million dollars traditional media campaign. 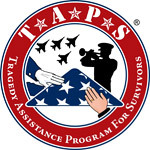 Sponsorship packages are personalized to provide a positive R.O.I and are tailored to accommodate specific marketing needs and requirements associated with a blue chip client base. Iceman Productions™ holds 100% creative and production control and maintains all film rights, coordinates the filming, studio post production leading to final episode assembly and network syndicated distribution. Customized sponsorship packages are available upon request. The television series is syndicated to network partners in Canada, USA and Caribbean. The series is produced to accommodate contracted network partners each who receive the “Ready to Air” programs. Networks are given unlimited broadcast proven to enhance network re-airings providing a greater media return. Demand from networks seeking weekly “Regularly Scheduled” prime time offshore programming is your assurance of a solid blue chip corporate campaign. Our hosts introduce the television viewers to the championship event and the competition line-up providing viewers with rules & regulations and race start. Each episode of this fast pace series profiles the competition, performance, race team profiles & footage with a detailed look behind the scenes at race preparation. After the final commercial break we bring the viewers back to the hosts for a final wrap-up showcasing the winner’s circle, and the ‘turning point’ in the race while showcasing the festivities associated with the high impact on-site agendas. Episodes are designed specifically to accommodate regional, national and/or international broadcast needs and requirements. Offshore Powerboat television programming has proven to be an effective high impact marketing tool for non-conflicting production and content sponsors with fully serviced packages tailored to meet strategic budgetary needs and requirements. 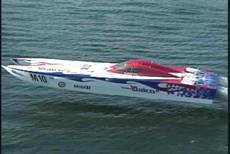 This adrenalin pumping television series holds the armchair viewer steadfast with high impact footage showcasing the most powerful offshore racing boats in North America. Receive a bang for your advertising buck!